Andrew (#5) played in his first baseball game last night. He looks a little dubious about the whole thing. My daughter said he got two good hits and had several meltdowns. Apparently an evening ball game for a four year old is not such a great idea when his bedtime is infringed upon. He just turned four last month. Heavens, any time after four p.m. is too late for me to be out and about. I haven’t been out after five in years. His pants are off to the side, as though they were hurriedly put on. And for some reason his shoes look huge. But then maybe he will have his father’s large feet. I’ve been seeing more mourning doves on the patio of late. 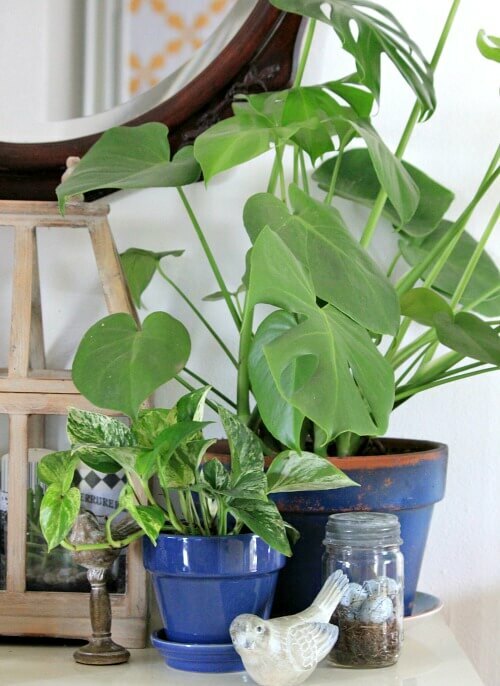 They like to bob-bob along the cement in and out of container plants. This photo is through my patio glass, so not the best. Every time I clean the glass on both sides it rains. It’s raining now in fact. It’s that time of year when spring showers are frequent. The sparrows in the shrubs under my front window are so loud these days it’s hard to hear the TV when it’s on. I can’t recall it being this loud last spring, but then I’ve probably forgotten. Yesterday I got a new camera, another Canon EOS Rebel. I’ve been buying Rebels way before digital cameras. I headed out to Best Buy because I saw they had them on sale. I didn’t get the newest version. I got the one next down I think. The t6. But it was quite a bit cheaper and it came with a zoom lens and camera bag, etc. Good deal on that. Then I ended up getting something I had not really planned on. I’ve been looking at tablets online for quite awhile. I’ve never had one. But I go through laptops fairly rapidly. I wear one out inside of two years usually. Literally use them up and wear them out. The young lady helping me with the camera and I were chatting about this, and she showed me the Mac. Well, I’ve never ventured into Apple territory. Big price tags and all. But when I stop to tally up what I end up spending on laptops in about four years time, I spend close to what I’d spend on one. She promises they last longer. Well, I’m not ready to do that yet. But I thought I’d try the iPad Pro, much cheaper than the laptop, and see how I like the Apple products. I got the keypad and pencil so I can use it to blog as well. Eighteen months with 0% financing made the purchases more palatable. Last night I played with it a bit and am impressed so far. Not accustomed to something talking to me. Caught me off guard. But I love lying in bed and doing a bit of reading and catching up on news before I open a book. Some publishers want to send me digital copies of books and this is just about the size of a hardback book, so I might download some books to it. I like my Kindle, though lately I’ve been wanting to read the actual book and then hand it down to my daughter to read. I haven’t purchased an item of clothing or shoes in over two years. But the good thing about these two purchases is that I can deduct them, which helps on my yearly tax bill. But I can’t sign off without telling you what a mess I got into yesterday afternoon. Lordy Pete. I got home and realized that I didn’t have Abi’s heart pills I’d picked up from the vet earlier. I wondered if I’d accidentally picked them up and thrown them away with the Chick Filet sandwich bag. I’d stopped at Lowes to pick up a mop before I went to the nearby Best Buy at Tulsa Hills. And I remembered throwing away that bag before I went into Lowes. So I called them and asked if they’d send someone out to look in their trash can just outside the door. They did find the pills, and I grabbed Abi because she was pitching a wall-eyed fit and took her with me. I mollified Charlie by giving him food. Together they’re pretty heavy to carry. On the way the traffic was beyond hideous. I don’t know what was going on. But the road beyond Riverside was almost at a stand still on the other side. So once we picked up the pills, I went an alternate route. A way I was not at all familiar. That was the mistake of course. I ended up driving roads that seemed to end up being dead ends. Then I got on an actual highway and went about a mile and it closed so I had to exit. I drove around some more and found another highway. I’m not good with highways. Finally I found the way home. It might have been cheaper to just buy the pills again from the vet. I was so weary of it all by the time we got home that I was just about cross-eyed. I’m meeting my daughter for lunch. I want to hear all about the ball game of course and give her another book to read that I just finished. It’s “I’ll Be Your Blue Sky” and a fantastic read. Wow… What an adventure !!! And … love the pics of your grandson…. 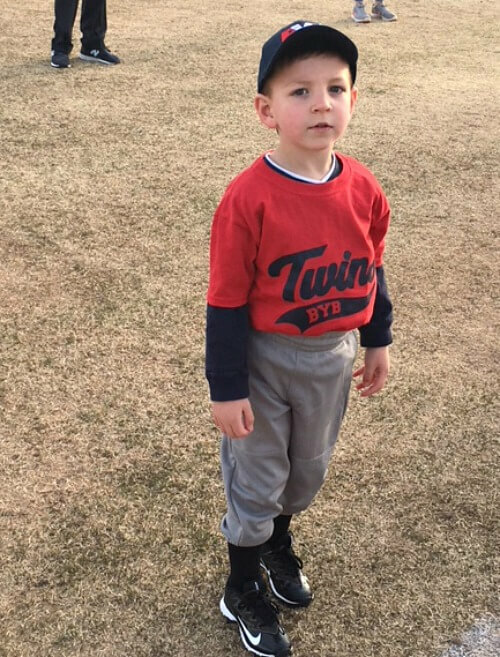 Little League baseball is one of the many reasons that I love this time of year … both of my (now grown) kiddos.. and 3 of my 4 grandchildren play ( or have played !!) Andrew looks so sweet in that uniform !! Thank you for sharing!! 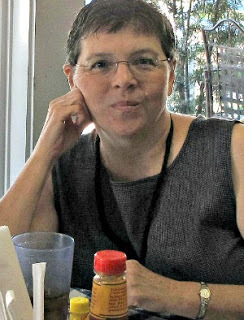 Brenda, I love your blog! So interesting! Andrew looks very cute in his uniform but an evening ball game for four year olds does seem too late. You will love your iPad! I have rarely used my computer since I’ve had mine. Sorry about your driving experience yesterday. I live about 25 miles from Atlanta and the side roads are about as busy as the highways. In fact there was so much traffic near me that they built a bridge 11 lanes wide. Your grandson is so cute. I have mixed emotions about kids that young playing team sports. My boys both started soccer when they were 5 and I think on one hand they were too young and truly didn’t understand what was going on. On the other hand, maybe cooperation and following instructions was more the point. I don’t have a tablet and don’t want or need one. Between my laptop (mine last about 5 years) and my phone, I’m all good. I don’t read digital books either. The mourning doves are back here, too. 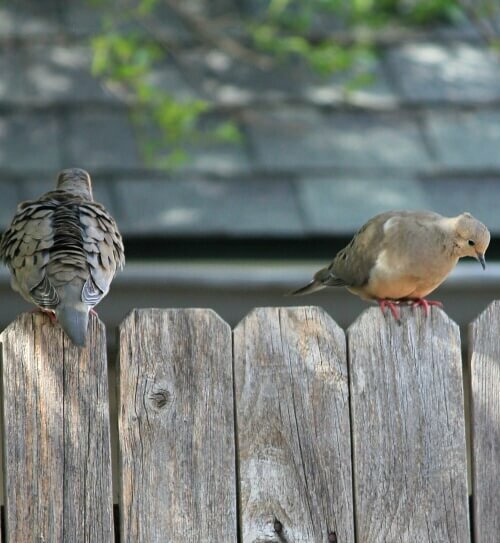 I have Mr and Mrs Mourning Dove visit my fence and bird feeder every day. They are fascinating to me, as they sit on the fence posts, not moving, for over 1/2 hour. I’m all good with venturing out at night and driving highways. Maybe it’s from living in the Chicago area most of my life. I live in the far suburbs now – it’s still pretty rural out here – but a lot of my friends and family live closer to the city, so I do a lot of driving and visiting. Have a great weekend, Brenda! What a day you had – Oh my goodness! I am surprised someone looked in the trash enough to find the pills. You got lucky there but then what a traffic mess you had and with Abi with you too! I get lost so easily if I drive in an unfamiliar area. I can imagine the relief you felt when you got home. Andrew looks so cute in his uniform. I really do think he looks like you! Congratulations on the new camera and tablet. I have an older Canon digital camera and still love it. They are very good cameras. You will love having a tablet. I keep a desktop and a tablet. I like the tablet for just reading, email and such because it is easy to take anywhere in the house and get comfortable with it. I use my desktop for editing photos and things like that although you can do that on tablets too. 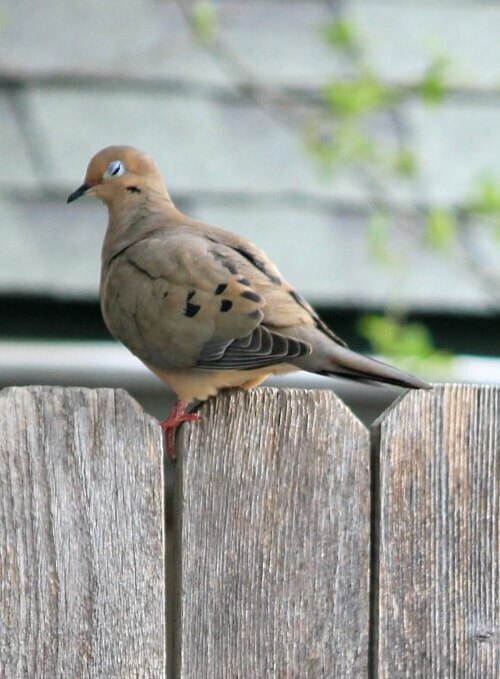 I love your mourning dove pictures. They are my favorite birds. Enjoy your lunch with your daughter. You are so lucky you two can get together like that. Brenda, that little Andrew is a doll. I remember when my boys played their first games! I was so proud! Girl, it is not safe to travel around this town. You are bound to get blindsided by road construction! I got into a similar situation, the other day, in the same part of town! Literally, everywhere I go, there is road construction. Do you think we will ever see a day when it is all completed? LoL yeah…wishful thinking! The kinds of things you describe with the pills and getting lost on the way home are the things that really make me crazy! I don’t do well taking them in stride at all. I can really relate to you feeling cross-eyed when you got home! 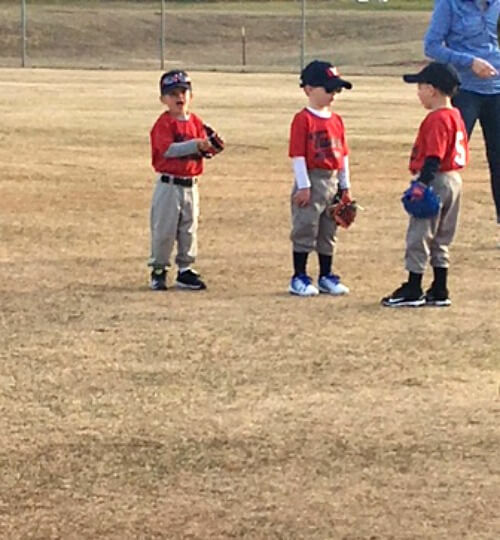 That little ball-player is so darn cute in his little uniform and “big” shoes! Just four years old is practically still a baby in my eyes. And the melt-downs are oh-so-familiar to me! We still have those with my twin grand boys at age seven. There is just so much pressure on little kids to perform these days. Some kids can handle the expectations, some can’t. I hope baseball turns out to be something fun for Andrew. Nice you could get the new camera and tablet. I need a new camera so badly. Since digital came in I really haven’t had a decent camera because they are so expensive. Maybe I’ll just splurge one of these days. Let’s see, what could I do without for about a year? I buy all my clothes which is very few at thrift stores, so that’s not it. I don’t drink or smoke so I can’t save money there! I do eat well and am not willing to change that. I guess I’ll have to find a job! I’m thinking lately about finding something I can do at home. I used to do garment alterations from home. Not doing that, again! People who don’t sew come and want you to perform miracles and don’t understand why it’s not possible to make this bigger while making something else smaller! Give those pups a smooch. I am missing my Tavi dog so much. I loved the photos of your grandson in hid uniform. They bring back memories of 35 years ago when my little ones played T ball, softball and baseball. The were all uncertain about the whole experience when they first began but each grew to love it and became real athletes and team players. Glad u got Abi’s pills. So sorry about that. I don’t like to be out late or heavy traffic either. I was in some crowds at walmart and was exhausted by the time i got home this afternoon. PS Andrew looks adorable in his baseball uniform.